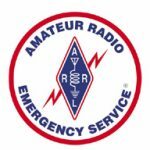 The Big Bend Amateur Radio Emergency Service® (ARES) Team covers the West Texas Section of District 5. ARES consists of licensed amateurs who have voluntarily registered their qualifications and equipment, with their local ARES leadership, for communications duty in the public service when disaster strikes. Every licensed amateur, regardless of membership in ARRL or any other local or national organization is eligible to apply for membership in ARES. Training may be required or desired to participate fully in ARES. Please inquire with the local Emergency Coordinator for specific information. Because ARES is an Amateur Radio program, only licensed radio amateurs are eligible for membership. The possession of emergency-powered equipment is desirable, but is not a requirement for membership.